A longtime Upland favorite is for sale and its future as a restaurant is not assured. 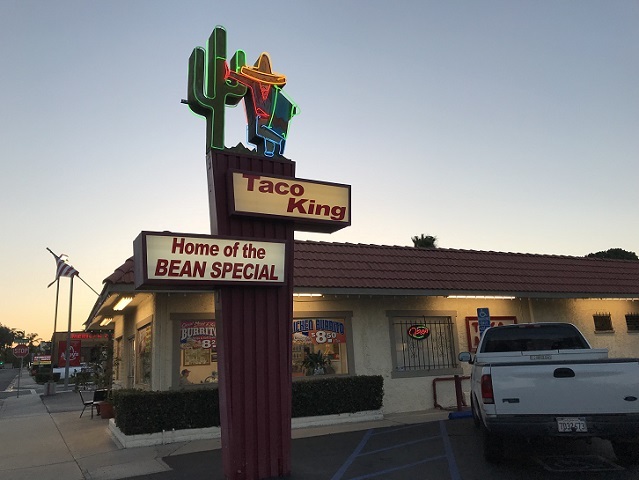 An extended family gathered last week at Taco King — you’ve probably seen the neon sign along Foothill Boulevard if nothing else — for the proverbial “one last meal” and invited me. I used that as an excuse to learn about Taco King’s history and its owners’ retirement plans, which I write about for Wednesday’s column.